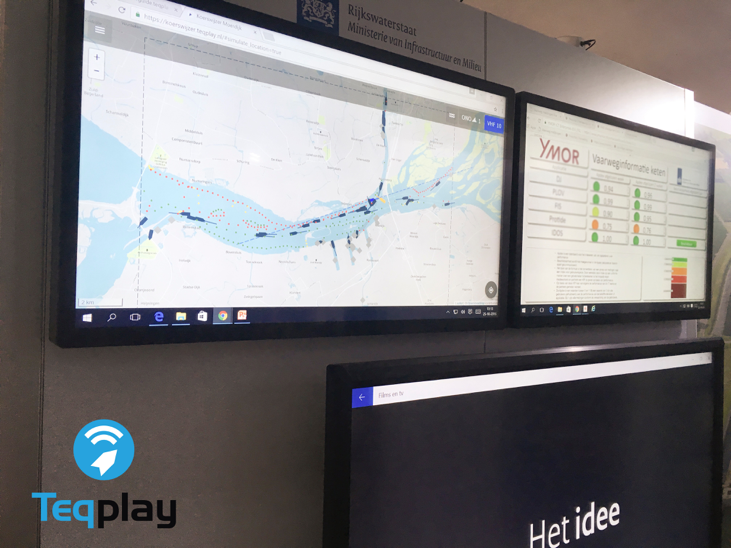 During the innovation fair ‘Water Ontmoet Water’ Teqplay was invited in Fort 1881 in Hoek van Holland. At this conference several successful innovative initiatives in the context of managing waterways in the Netherlands were presented. 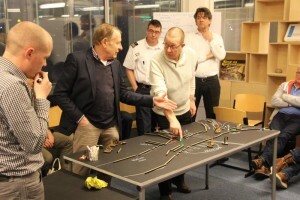 We were honoured to present Koerswijzer and Riverguide. In this blogpost we share our approach on how we co-create successful solutions. We believe that designing meaningful applications starts by combining forces of the different experts, stakeholders and users involved. 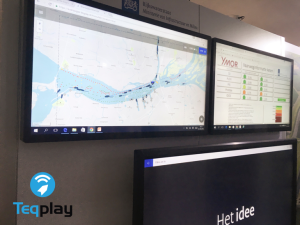 Both the development of Riverguide as well as Koerswijzer, skippers and other stakeholders were intensively involved in the development process. A good example of ‘the power of combining forces’ is the energy and collaboration of the exploring workshops. These workshops reveal the often ‘hidden innovation power’ inside the people involved. 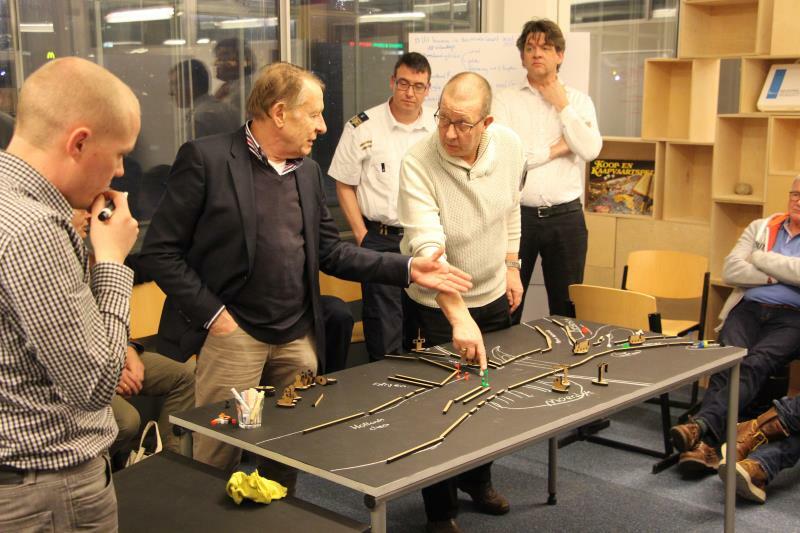 Skippers and other relevant stakeholders were invited to co-create and share their knowledge with each other. During the workshop it is the art of listening to what people are saying. The better you listen, the more input you will gain in your project. But how do we actually organize those workshops? PortPlay; an interactive set of tables support people in explaining their experiences, challenges, stories, wishes and knowledge on the Dutch waterways. It facilitates the discussion by providing an ‘actual’ focal point, and creates a shared view and language among each other. The stories and discussion of the people were extremely valuable input for developing Riverguide and Koerswijzer. We believe that collaboration is the key factor in creating innovation. At least in the development of Riverguide and Koerswijzer, the power of combining forces resulted in useful and successful products for the industry.